to experience this site as intended. 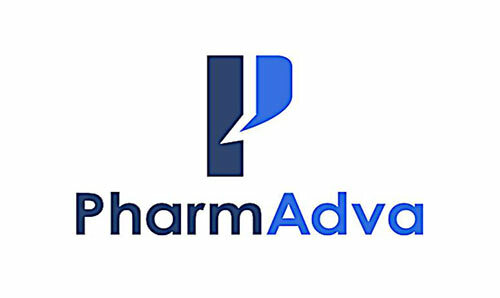 PharmAdva, a medical device manufacturer, has been approved to participate in the START-UP NY economic development program. The company will locate in High Tech Rochester’s (HTR) Lennox Tech Enterprise Center in Henrietta. PharmAdva is commercializing a technology developed at the University of Rochester Medical Center by Michel Berg, M.D., an associated professor of Neurology and medical director of the Strong Epilepsy Center. This company will be making automated home pill dispensers that prompt patients to take their medications on time and in the proper doses. Many people – particularly elderly individuals who are taking multiple drugs on a daily basis – have a difficult time keeping track of their medications. This non-adherence places individuals at a significantly greater risk for health problems. For example, a person who stops taking drugs that help manage their hypertension is more likely to suffer a heart attack or stroke. It is estimated that 30 to 60 percent of patients do not adhere to their medication regimes, resulting in more than $300 billion per year in avoidable health care costs in the U.S. alone. The dispenser, called DOSEmgr, can hold up to a three month supply of 16 different medications. DOSEmgr notifies patient when to take medication and alerts caregivers through text, phone call, or email if a patient fails to remove the pills when they are supposed to from the dispenser. In addition, the dispenser keeps track of inventory and tells the patient and their caregiver when it is time to refill a prescription. The dispensers will be ready for consumer sale during the first quarter of 2015. PharmAdva has already raised $2.2 million in funding in funding – including $200,000 in seed stage support from Excell Partners – and projects to create 132 new jobs within the next 5 years. The company is preparing to test the device in Rochester and Albany. The manufacture and distribution of the devices will be based in New York State. The START-UP NY initiative – created by Governor Cuomo and approved by the New York State legislature in June 2013 – provides participating companies with tax exemptions for 10 years when they locate in designated areas associated with colleges and universities and align with a school’s core academic mission. Earlier this year, the New York State START-UP NY program board approved the University of Rochester’s plan to designate 105,894 square feet of tax free space at HTR’s Lennox Tech Enterprise Center in Henrietta and buildings 59 and 320 in Eastman Business Park. HTR is an affiliate of the University of Rochester.